Thunderclap in Brussels: while upcoming European negotiations, suspended for the summer, threaten to legalise fishing with electricity, a former jurist at the European Commission provides a legal analysis confirming the multiple scandals that BLOOM has long denounced. The derogations granted at the end of 2006 and allowing the use of electric current to catch fish have gone against an explicit scientific advice, as well as the other successive decisions. The Netherlands has committed a very clear infringement by granting a number of licences far in excess of the regulatory framework. A strangely defined article on “innovative fishing gears” (Article 24) in the Technical Measures Regulation currently under negotiation should be suppressed as it opens a dangerous legal loophole: it enables new derogations to electric fishing to be legally granted. The author raises a number of important questions about the European authorities’ management: “This affair seems to indicate poor functioning of the EU method […] the Commission seems to have given in to the will of one of the Council’s Member States, when, as guardian of the treaty, it should have taken a strong stance. How should we interpret the fact that it ignored scientific advice to this extent, then turned a blind eye to the illegal extension of this electric pulse fishing?”. This independent legal analysis underlines the need to swiftly and effectively act at the European level to ban this destructive fishing technique, the development of which was done in disregard of the regulatory framework. 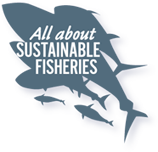 While surveys in several Member States indicate that citizens by and large support a ban on electric fishing, including in the Netherlands , Trilogue negotiations due to be held in early October may reach a very different outcome. Mathieu Colléter, ‘Science & Policy’ officer at BLOOM, reports that “France seems a lonely figure (faintly) calling for a full ban, whilst the Netherlands has set up a task force with an ambassador  devoted to defending electric fishing. The Dutch have launched a communication offensive with scientists to legitimize this destructive fishing technique, and convinced Member States with the ridiculous argument that banning electric fishing would hinder ‘innovation’”. Colléter stresses the paradox of the current situation with the coastal States not yet subjected to electric fishing (currently allowed only in the southern part of the North Sea) rejecting the use of this technique in their own waters. But there is a world of difference between this and taking a political stance against a scourge affecting neighbouring waters. Claire Nouvian, Board Chair & Founder of BLOOM, concludes: “Electric fishing can still be banned in Europe, but the European Commission needs to pull itself together, the European Parliament must remain consistent with the clear message it sent in January, and the Member States need to be assertive. To remain passive is to be complicit in a social and ecological disaster”. Annuaire de Droit Maritime et Océanique, T. XXXVI, 2018. Translated and available in English on the website of Nicolas de Sadeleer, Jean Monnet Chair, from the University of Saint-Louis in Brussels. Michel Morin is an associate member of the Maritime and Oceanic Law Centre (CDMO) of the Law faculty of Nantes, and a former administrator at the Directorate General for Maritime Affairs and Fisheries (DG MARE). BLOOM commissioned Kantar Public to survey citizens from four EU Member States, namely Belgium, Germany, the Netherlands, and Spain. See detailed results in our updated information document. Former Minister of fisheries of the Netherlands.